From St. Martin’s Griffin, ISBN 0-312-32700-5, 2003, 234 pages, paper. She discussed putting a lot of it online at her website Muslin Refuseniks. A major theme of her book is the collapse of intellectual honesty and open speech a few centuries ago as the Sunni Caliphate tried to consolidate political power. This translates into a patriarchal society with fundamentalist mentality today, that includes the oppression of women, and she calls for an ijtihad. Bruce Bawer, While Europe Slept: How Radical Islam Is Destroying the West From Within. New York: Doubleday, 2006. ISBN 0-385-51472-7. 244 pages, hardcover, indexed, discusses the paradigm problems with Muslim immigration into Europe in the past twenty years, and his book is in three long chapters, with a central section on 9/11. Compared to immigrants, poorer Muslims retain a social and religious loyalty to extended families in Muslim countries, with resulting oppression of women and other human rights that European governments are too timid to challenge. The demographics of Muslim population growth, compared to the failure of European populations (including, of course, gays) to replace themselves sets up a future political disaster. Bawer is well known for his books in the 90s: A Place at the Table, and Beyond Queer, an anthology which he edited. I have a more detailed review of these two books at this link. Photo (unrelated). 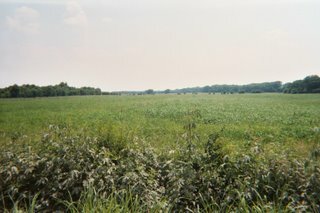 Field near the Mt. Carmel site near Waco, Texas (Branch Davidian raid of 1993).